I just got my hands on the photos from Brooklyn Toasted Event and I can't help but remember how much fun it was! So many unique vendors and wonderful couples showed up to enjoy all things wedding. As a vendor, I absolutely loved the vibe and the crowd. 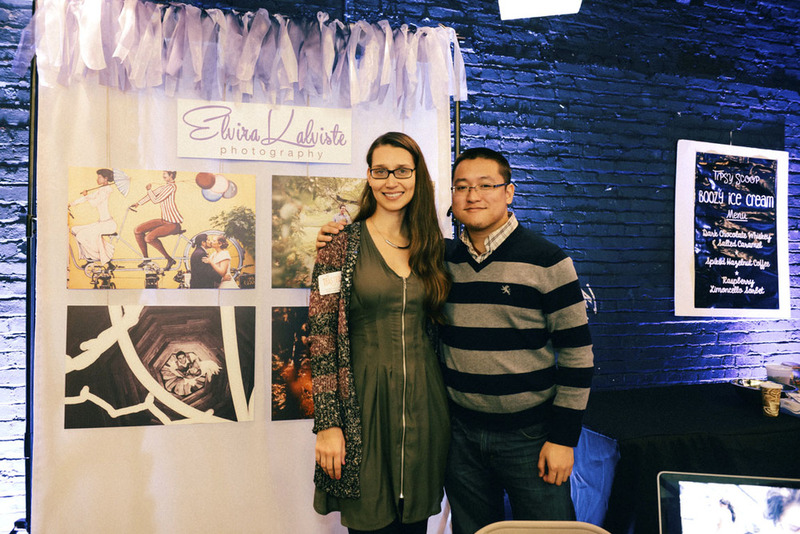 I want to say a huge thank you to my amazing assistant and dear friend Chris Lo for helping me set up and bringing me all the yummy goodies from other vendors! Thank you to all the lovely couples who came by my table! You made it all worth it. With that said, one of my Toasted couples will be up on my blog very soon! I am still booking for 2015 so please get in touch and I can't wait to hear your love story! P.S. I will be participating in another exciting wedding show in February. Details coming soon! If you want to see me in action please check back for more info!